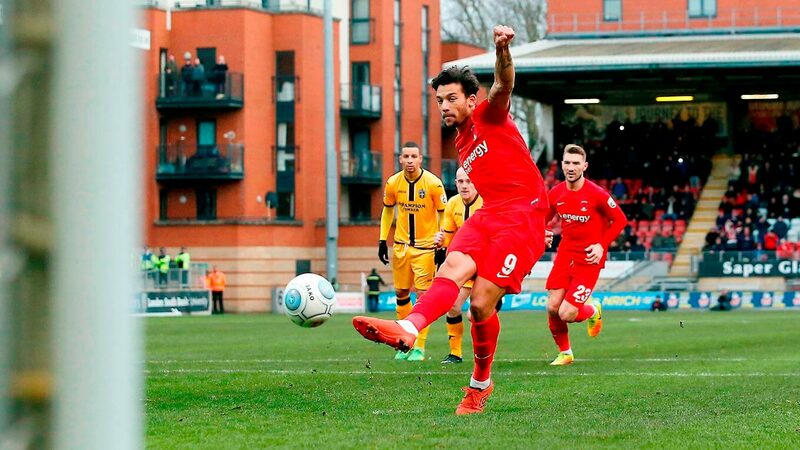 Leyton Orient pulled off their finest victory of the season in Justin Edinburgh’s first match in charge as the National League strugglers demolished top of the table Sutton United 4-1 at a delirious Brisbane Road. Well no-one saw that one coming including new manager Edinburgh the former Tottenham Hotspur player. This was just the shot in the arm the players, the club and the fans needed as Orient piled on the goals in front of a gobsmacked 4,180 attendance in East London. You could be forgiven for thinking you were at the San Siro as the quality from the O’s was the best it’s been for a long long time. Sutton didn’t know what had hit them as Messi and Ronaldo tore them apart. 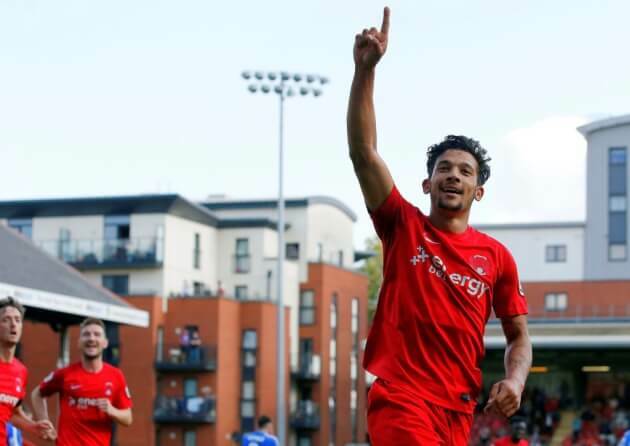 Whoops make that Macauley Bonne and James Dayton who were back to the prime form we saw glimpses of in August and September. A turn up for the books, upsetting the applecart, pulling the rabbit out of the hat, you can come up with as many idioms as you want to but the plain simple fact was that Orient played with confidence, belief and grit and came away with a rip roaring win. The O’s were stupendous at times playing one touch football that ignited the fans who have been used to cattle fodder for the majority of the last two campaigns. Sutton came into the match in prime form, top of the table and looking to take away 3 points on the short trip back to Surrey. Instead they went home with their heads between their tails and pointless as Leyton Orient gave them a lesson in team play and articulacy on the field of football. O’s had gone 15 games without a victory in the National League so it was a fantastic day for Orient supporters, who hadn’t seen their side win in the division since September 2. Edinburgh made one change as Henry Ochieng dropped out of the squad and was replaced by Alex Lawless in the centre of midfield with Josh Koroma returning to the bench. From a corner as early as the 4th minute Jobi McAnuff swung the ball in and although Bondz N’Gala missed it, Dan Happe fired towards goal, but a combination of U’s goalkeeper Jamie Butler and his defenders blocked the effort on the line. Top goalscorer Bonne made no mistake from the spot and fired into the corner for his 10th goal in the league. Sutton struggled to make any headway although O’s keeper Dean Brill was then called into action in the 11th minute when Bailey’s free kick was headed down for Ross Lafayette, but his shot was brilliantly tipped away by the 32 year old goalkeeper. Butler dropped a cross from an Orient attack soon after and Bonne chipped over his head, but Jamie Collins cleared off the line for the Surreyites. Bonne headed wide from eight yards on the half hour mark for the O’s and then Lawless saw a shot deflected up and safely into the arms of Butler. The last effort of the first half saw Dayton smash a free kick over. In the 53rd minute Orient extended their lead as Matt Harrold headed in from a McAnuff free kick. Sutton just couldn’t get into the game with the O’s backline holding firm throughout, particularly Judd excelling at right-back with several interceptions and tackles. In the 80th minute Orient scored a third goal as sub Mooney controlled inside the area and shot towards goal, but saw his effort deflect onto the post. It rolled out for Bonne and he shot past Butler from eight yards. Tommy Wright controlled a long pass for the visitors, flew by Bondz N’Gala and fired past Brill at his near post to give Sutton slim hope in the 83rd minute but 4 minutes later the superb James Dayton fired an effort past Butler via a deflection to make it 4-1. Before we get carried away Chester also won to ensure Orient stay in 20th but if they can build on this result then the voodoo may just have ended. Fancy a bet on Leyton Orient then why not checkout this link.